The Minister of Transportation, Rotimi Amaechi, disclosed this on Monday in Abuja when the Executive Committee of AMES paid him a courtesy visit. “I want to, with the management of the ministry of transportation, move the maritime sector forward. “I don’t feel happy seeing the seaports the way they are; I am not happy seeing NIMASA the way it is. “I am not happy with the problem of insecurity on the waterways. “I feel that working together, we should be able to overcome some of these challenges; am very glad to work with you. “Moreover you are the expert; you are those who have gone to school to learn what it is to be a marine surveyor. “I need to work closely with you people to continue to acquire the technical knowledge that will make me administer the marine sector properly. 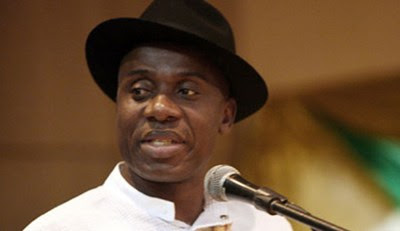 Amaechi, however, said that he would attend the forthcoming maritime summit in Lagos as a step toward finding solutions to some of the challenges being experienced in the sector. “One of the reasons of this courtesy call is that we believe that the present failure in the maritime sector is due to lack of in-depth technical input into maritime policies and their implementation in line with international best practices and realities. “We believe that the decline in standard, quality and profitability of the ships of Nigeria flag can be traced to their poor technical standard occasioned by the owner’s reluctance to comply with national and international standard and regulations. “It is the opinion of AMES that there is a need for a holistic review of Nigerian Maritime human and technical capacity development and in consideration of these challenges. He said that the planned maritime summit scheduled to hold on April 14 in Lagos would focus on the challenges facing the industry and how to move the industry forward.